Mercy Hospital and CCMAC co-sponsored and evening of awareness attended by over 200 Health Educators, School Nurses and Athletic Directors from Long Islands Public Schools. 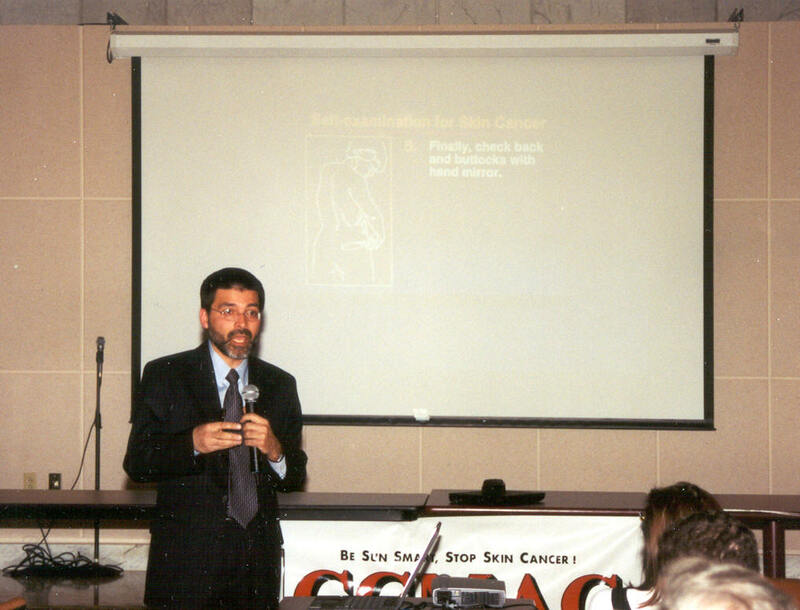 Attendees from as far away as Riverhead and Southampton were enlightened by Dr.Ashfaq A. Marghoob’s informative presentation on the prevention and detection of Melanoma Skin Cancer. 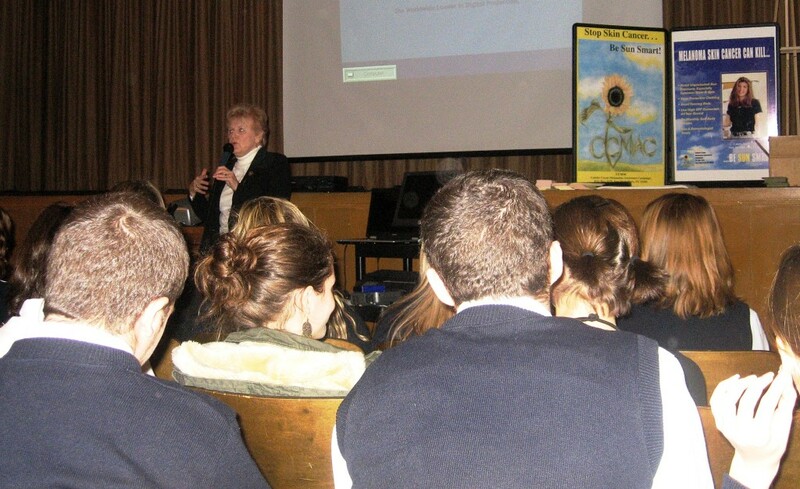 In addition Mrs. Colette Coyne also addressed the audience sharing with them the mission and works of CCMAC as well as the message “Be Sun Smart”. 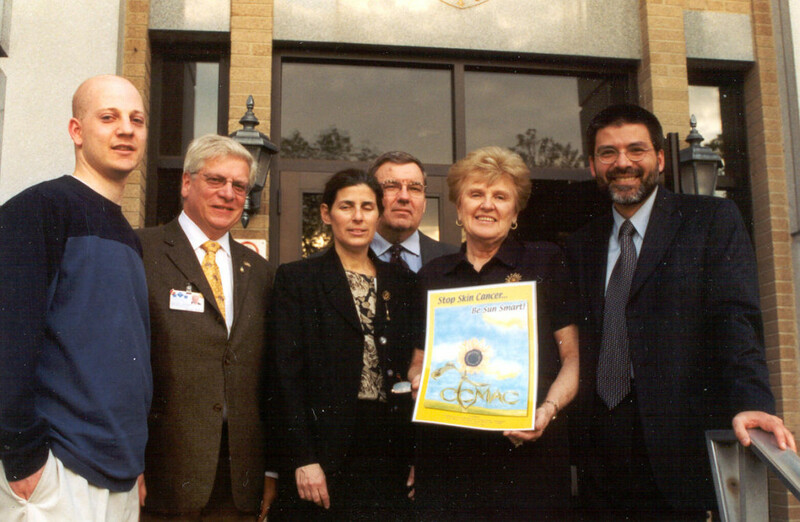 Pictured left to right, Billy Snak Melanoma Survivor, Vincent DiRubbio CEO of Mercy Hospital, Beth Hammerman Public Relations Mercy Hospital, Dr. Spillane Dermatology Services Mercy Hospital, Colette Coyne of CCMAC and Dr. Ashfaq A. Marghoob.